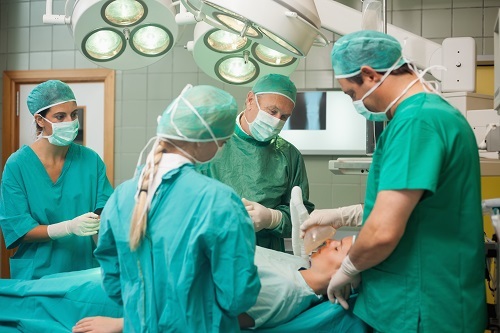 As a general rule, a procedure is considered surgical when it involves cutting of a patient’s tissues or closure of a previously sustained wound. Other procedures that do not necessarily fall under this rubric, such as angioplasty or endoscopy, may be considered surgery if they involve “common” surgical procedure or settings, such as use of a sterile environment, anesthesia, antiseptic conditions, typical surgical instruments, and suturing or stapling. All forms of surgery are considered invasive procedures; so-called “noninvasive surgery” usually refers to an excision that does not penetrate the structure being excised (e.g. laser ablation of the cornea) or to a radiosurgical procedure (e.g. irradiation of a tumor). Content is for informational purposes only and not intended to be a substitute for professional medical advice, diagnosis, or treatment.